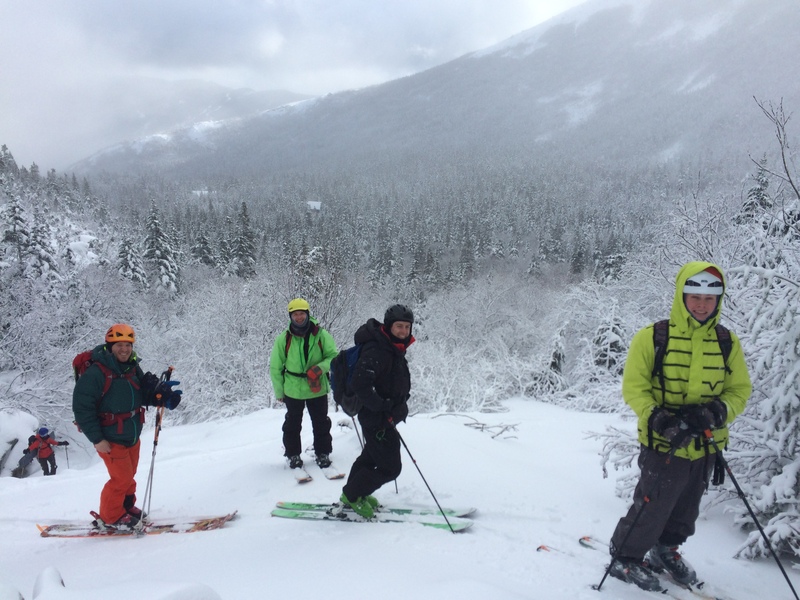 It’s been another busy 5 days of winter fun in Mount Washington Valley and I’m just now getting a moment to recollect some of the fun this past holiday weekend has brought. 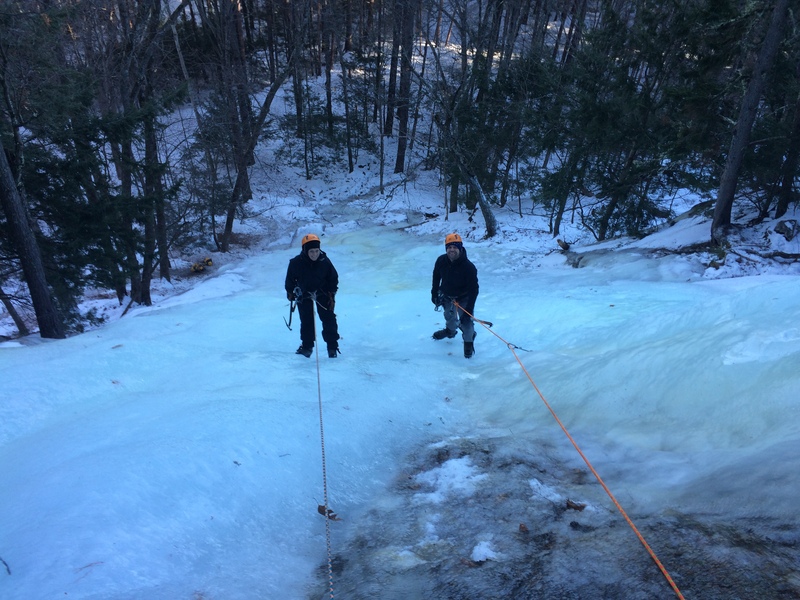 It started last Thursday when I had the opportunity to take a few of the motivated Catskills Hiker Group, Team Danger Girl, up a very fat & plastic Willey’s Slide as part of their 3 Day Accelerated Mountaineering Course. 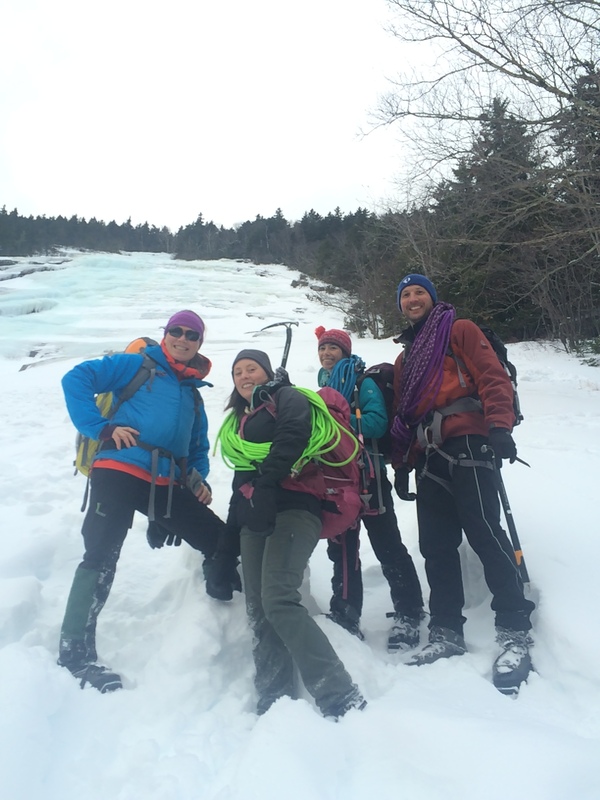 I wasn’t with this group on their Mt. Washington Summit attempt the next day but it sounds like they had quite the experience up there with hurricane force winds and wind chills below -40! 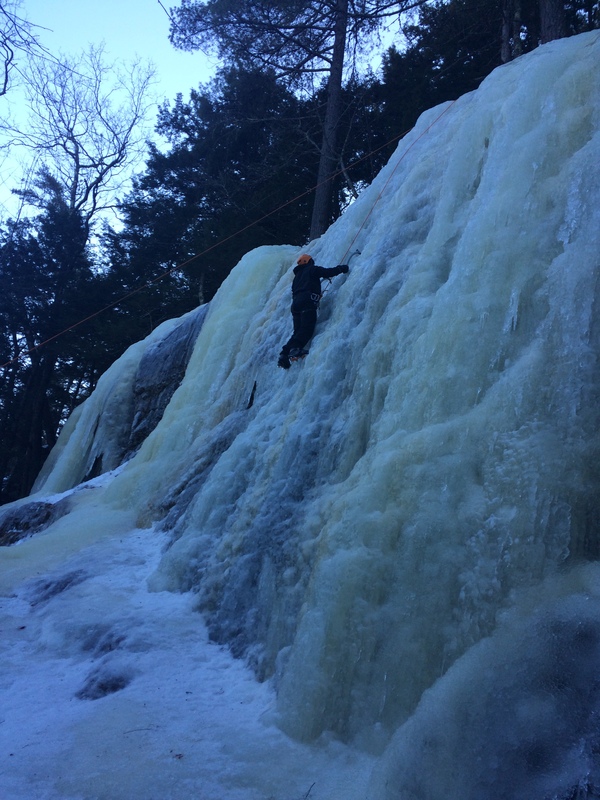 Friday I enjoyed a day off and took advantage of the nice valley weather for a quick climb of Goofer’s Delight with EMS Climbing School Guide Mike Lackman. The route was in excellent shape, but this photo does not do it justice. 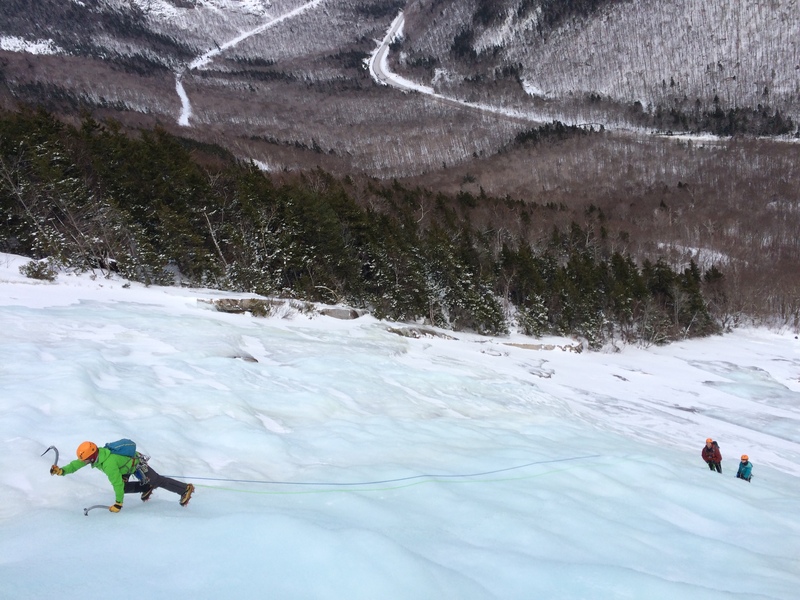 It’s 180 feet of some of the best Grade 3+ ice around IMO, a great moderate classic! 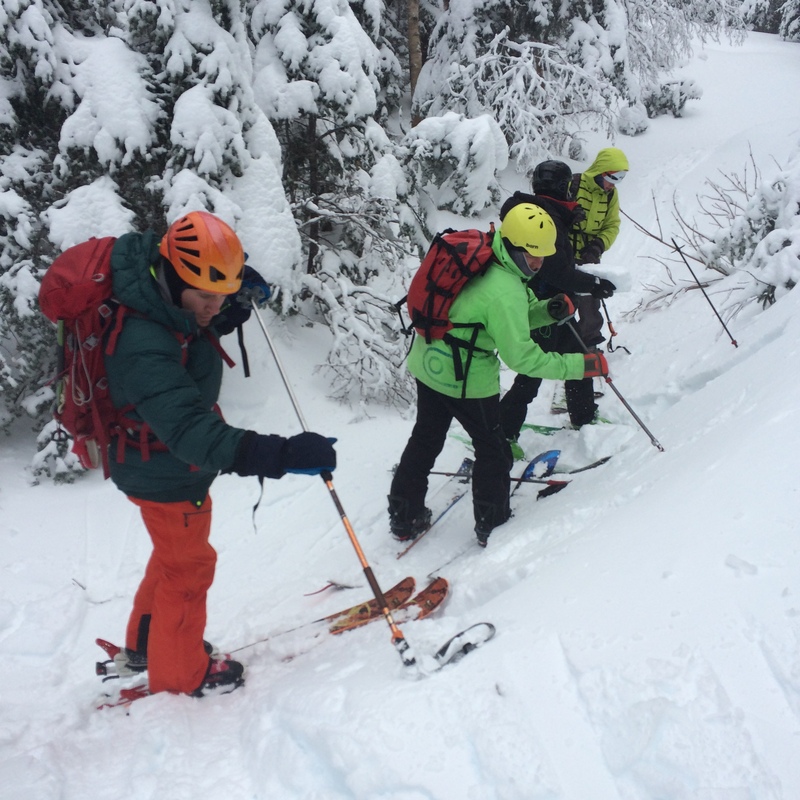 Saturday started our 3rd AIARE 1 Avalanche Course of the season. 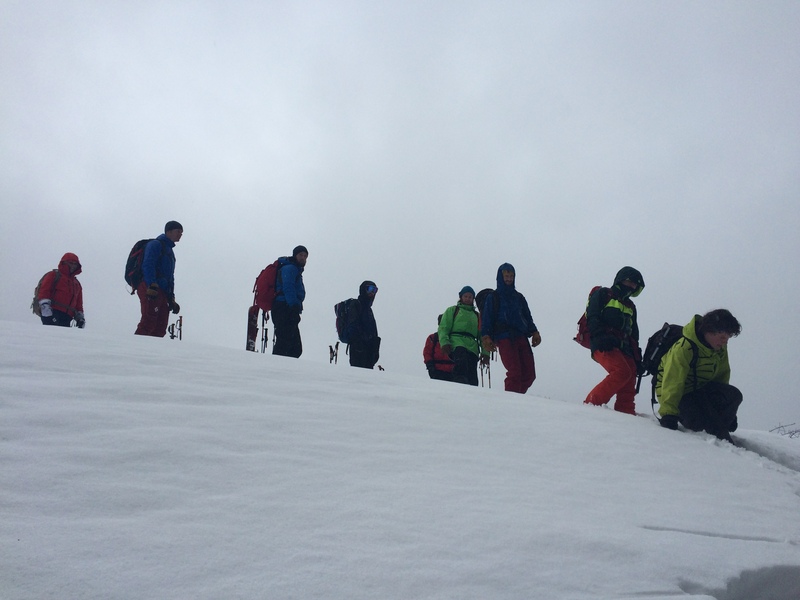 As with all our avalanche courses this season we were booked with 12 students and despite a bit of rain during our 2nd Day Observational Outing we had fantastic snow conditions for learning about avalanche danger. 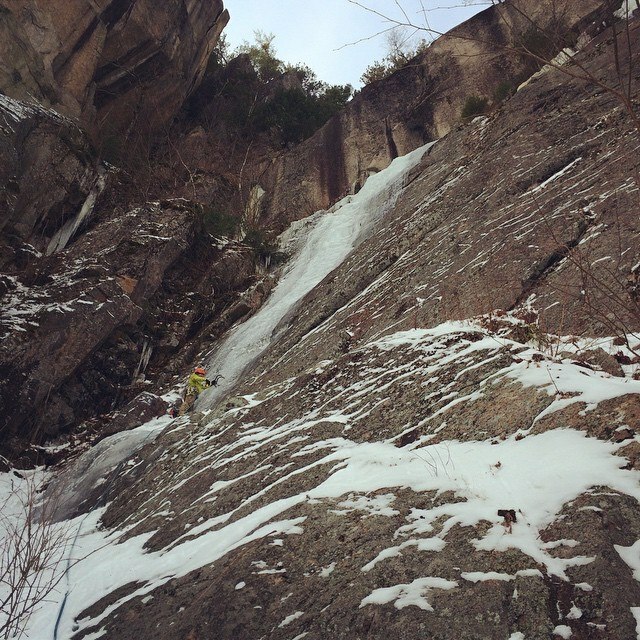 Small natural slab in Lower Snowfields, shooting crack on Little Headwall, CTE Q1 x 2 at 40cm & 90cm, ECTP24, and RB2 WB! 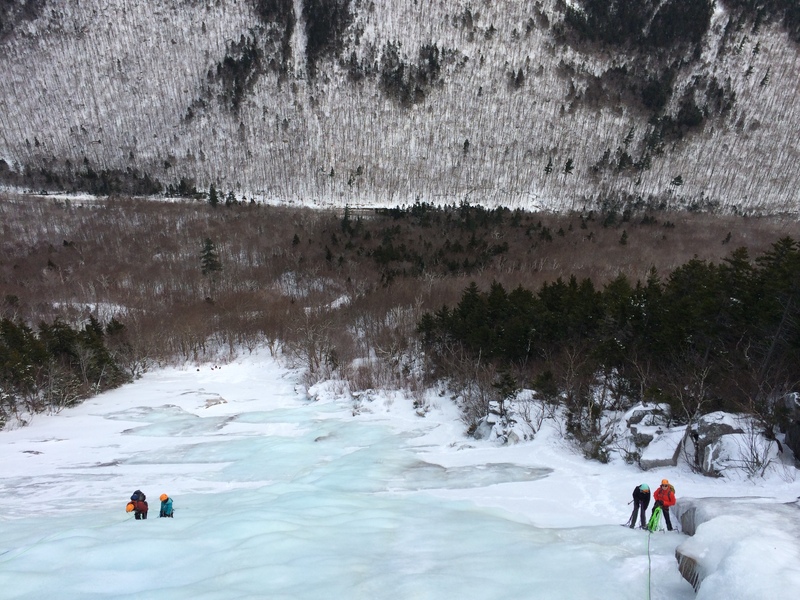 Layman’s terms, there was some really cool reactive snow to look at which re-enforced the groups decision to not travel into Tuckerman Ravine that day! After the course ended on Monday I had one more day of work ahead. 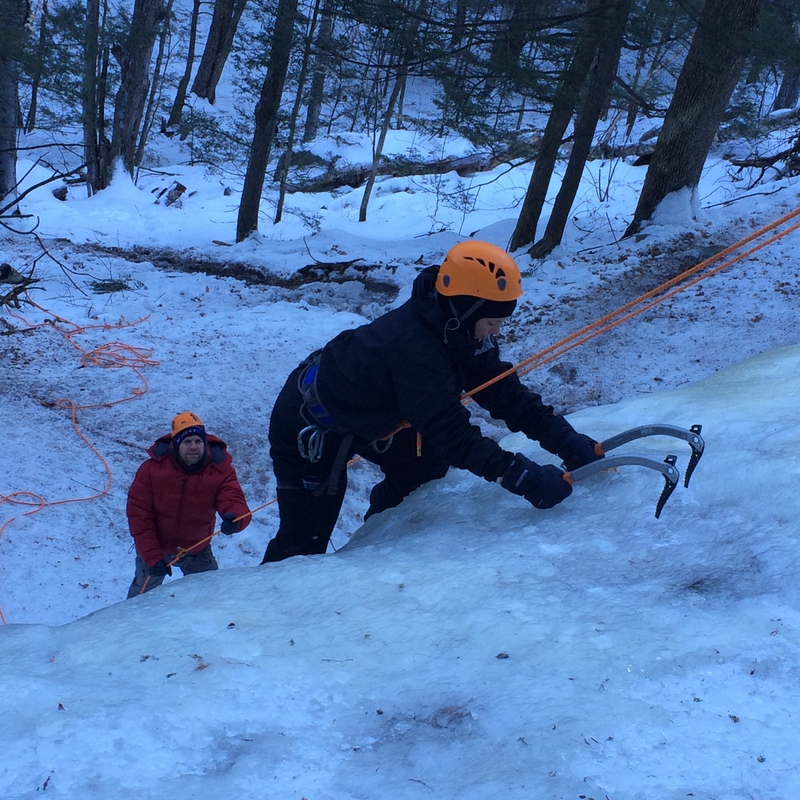 Julie had booked me for a private ice climbing lesson as a surprise birthday present for Ben. 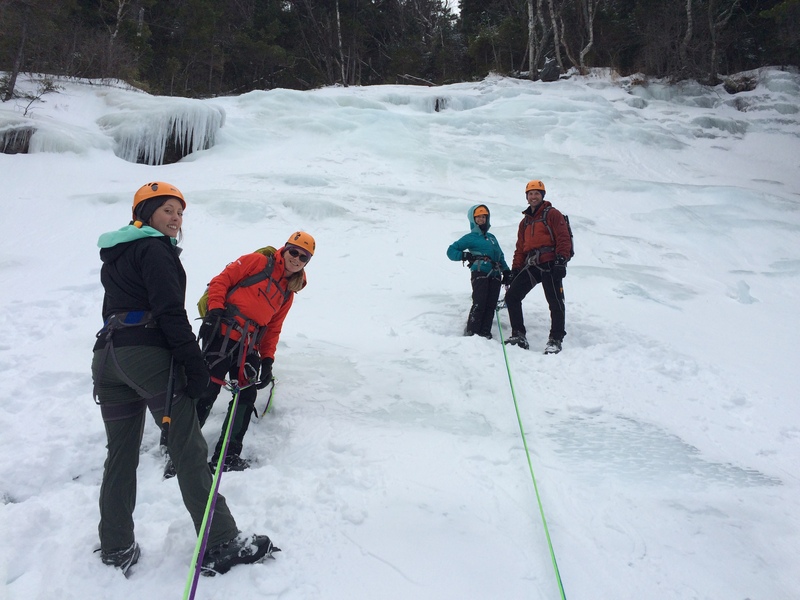 Off to the North End for their first ice climbing experience! Then tackles the upper tier! 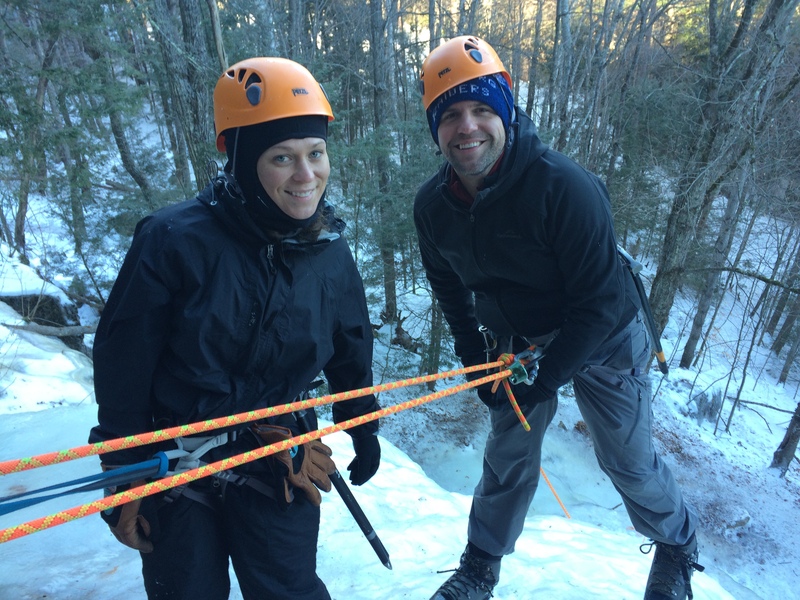 Introducing Ben & Julie to ice climbing was a great wrap up to a very busy 5 days. Today was laundry, dump, and swim lessons with my 3 year old son. Tomorrow will find me swinging tools at Frankenstein. 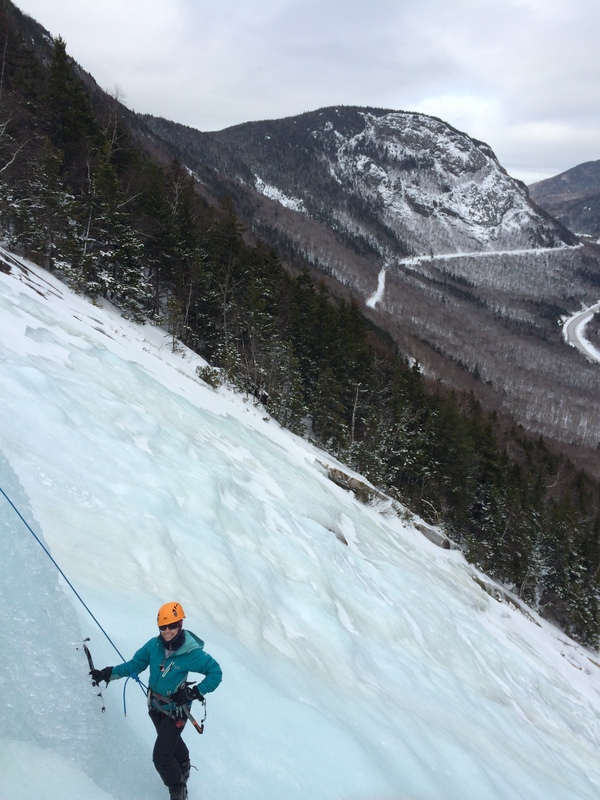 I hope you are all staying busy and enjoying the winter climbing & skiing season so far… while we could definitely use some more snow the ice climbing is excellent right now! P.S. That contest for 2 free ice screws ends in 10 Days. 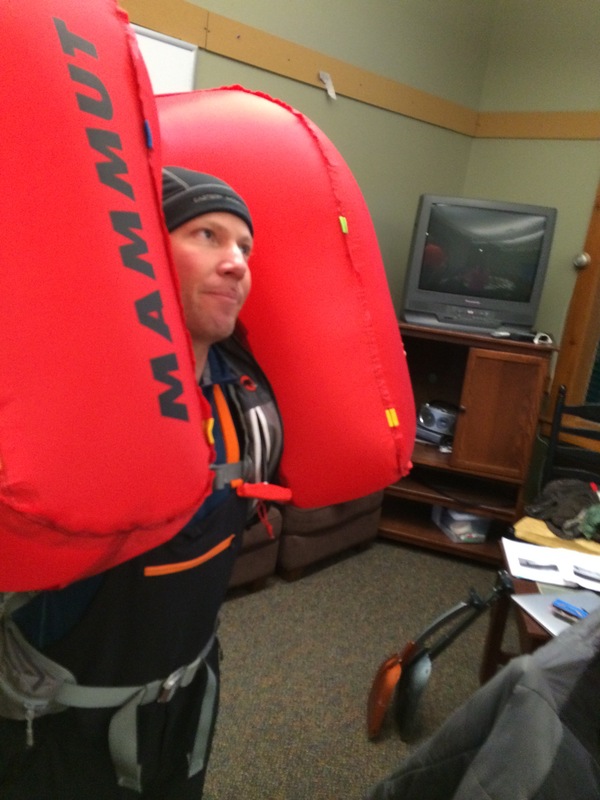 Get 1 entry for liking North East Alpine Start on Facebook, and another for subscribing/following this blog! The link to do so is at the top right of this page!